This splendid pedestrian plaza is named after the poet Mihaly Vorosmarty, whose statue stands at its centre. Designed by Ede Telcs and built immaculately in Carrarra marble, the statue rallies the nation in the poet’s own words: “Your homeland, Hungary, serve unwaveringly”. 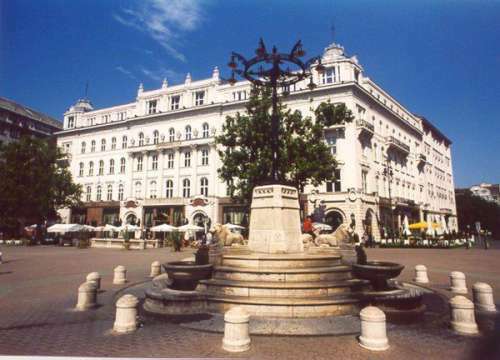 The square’s northern side is dominated by Gerbeaud Cukraszda, Hungary’s most famous coffee house. It is also worth visiting the quaint metro station. GERBEAUD: This is the most famous coffee house in Budapest. Since 1858, Gerbeaud Cukrászda has been renowned for its richly decorated interior and immaculate service. 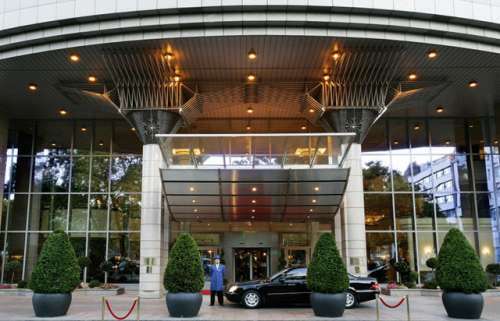 The best location in Budapest, luxury in the city center. Formerly known as Adria Palace built between 1914 and 1918 to host the Italian Adria Insurance Company, this pre-modern office and apartment building was designed in 1913. Thanks to its fine elegance, classical nobility and ideal location, this stone covered building not only represented an outstanding architectural quality, but has also been declared a historic monument. The Adria palace was badly damaged by a bomb during World War II and was partly burned down. The apartments and shops came to an end when the headquarters of the Budapest Police moved in and stayed until 1997. 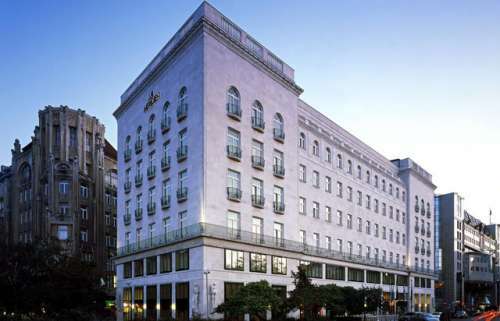 The Kempinski Hotel Corvinus, located in the very heart of Budapest near major attractions and financial district, easy accessible. 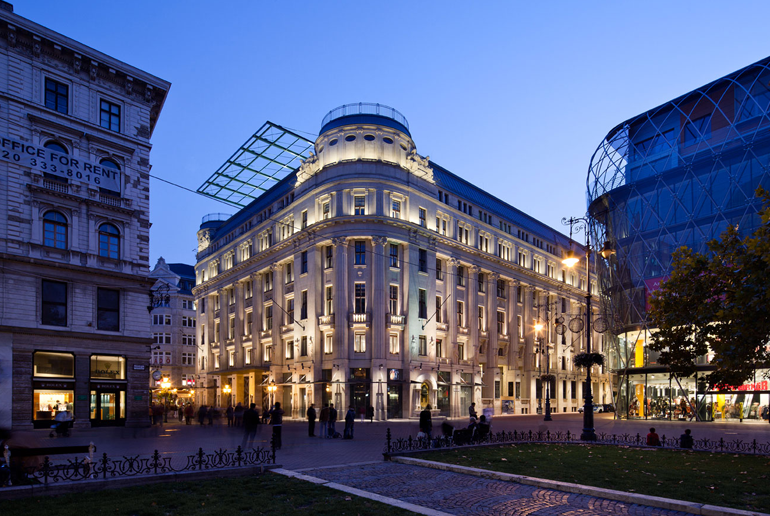 The Kempinski Hotel Corvinus's striking modern architecture makes it a symbol of modern Budapest. The hotel opened in 1992.